Thanks to Dad, I know when every centimeter of gum released its toothy bounty. I know the exact dates I was hospitalized, every music performance and who in the family attended, every road trip taken until I was 19. He logged his activities and those of whom he was around for every day of his life from January 3, 1974 until February 21, 2012. One page a day, one pad a month, every month. Filed away in chronological order, more than 450 notepads. The aggregation of an old man’s life and of those he touched. Right now I’m watching my dad die before my eyes, working to the last to be released after a five-year battle with cancer, failing kidneys, Parkinson’s, and, the final straws, shingles and a light stroke this last week. I had dinner with him at a restaurant with my sons and nephew on Sunday, February 12. He had a prime rib French dip, salad bar, iced tea, and a Jack Daniels on the rocks. He made note of it in his journal and I remember it. On Tuesday, February 21, he had his stroke. He didn’t make a note of that but his journal trails off and his clear, all-capital-letter writing is shaky and near illegible. On Saturday, February 25, my mother called to tell me to return. She sobbed, “the doctor said three to five days.” Today is day four. Tomorrow should be it. 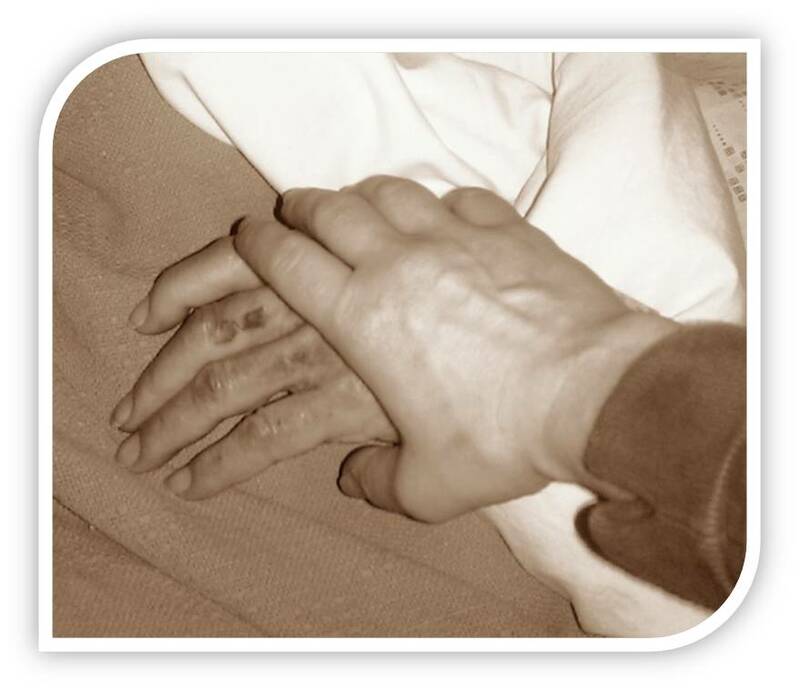 When I arrived Monday, I held my dad’s hand. He snored himself awake. “Oh, honey. I’m just so tired of fighting this. I just want it to end.” He coughed, he mumbled, his chest gurgled. It’s been a long time since my eyes got all leaky about my dad’s health. It could be that I never have. Why cry? That’s not me. Today I’ve been a non-stop leak-fest, but in my own private way. I tilt my head back as though I’m stretching, waiting for the tears to be reabsorbed or fall into my hair-line. I pretend to cough into a tissue, and wipe my eyes furtively. When all else fails, I visit the restroom to wash germs from my chapped hands for the umpteenth time, and try to get out some tears then, cry a little in advance so this act lasts longer. Why does Dad’s impending death hit me harder now? Is it finally sinking in? Is it the sense of helplessness? Is it the overwhelming weight of everything that needs to be done? Tonight I inventoried more than 600 keys to file cabinets, rental properties, tool chests, and more. We haven’t even talked about the two dozen file cabinets of mementos, legal records, and journals that goes back 30+ years or the seven cars he owns. Rumplestiltskin couldn’t manage this challenge and I’m not even looking for gold-spinning skills. The truth is simpler. I cry because with the loss of my dad, I lose my life’s storyteller. I lose the man who could explain to me why my childhood nickname was Turkey, what it was like to meet Jerry Lee Lewis, and explain in detail the difference between AM/FM and AC/DC. The only people who know you from the first moment you draw breath are your parents and I’m looking at being orphaned by one and being the emotional caretaker of the other. When Dad’s awake, which occurs with decreasing frequency, he’s barely coherent. His last words that made sense were yesterday late morning. He stirred and his eyes popped open. We rushed over. “Hi, Dad, you’re awake!” We each, in turn, reminded him of who we are. “Your son, Craig,” “your daughter, Eliza,” “your wife, Junea,” and so forth. He mumbled and I took his hand. “Are you trying to say something, Dad?” His eyes rolled around before fixing on me and then sliding away again. “Dad?” Briefly his eyes focused. “I have…so much…to say to you…but…” he drifted. We must have come back into focus. “…but I can’t find…the words…so confusing…so much to say…feel.” And he drifted away again. I’m a parasomniac, which is a fancy way of saying that I sleepwalk and sleeptalk. Most of the time I find this quality somewhat amusing and it’s given me great anecdotes to share. But there’s a more exhausting side to the disorder. The hard part about parasomnia is that feeling of semi-conscious awareness paired with lack of complete control over movement and speech. In the final moments of sleepwalking or talking, I may be fully cognizant that I am sleeping and acting oddly, yet I feel powerless to change my actions. Dad appears to exist in multiple planes, one moment he’s a child, then next he’s a grandfather. He remembers his first marriage, then today, then my wedding, then my oldest sister as a baby some 54 years ago. His brain is short-circuiting, he’s dehydrated and his body is wasting. He has no control over what he says or does or thinks or sees or feels. In his final hours, his brain is over-stimulated with impulses while his body is locked in disease-induced paralysis. I remember my anxiety every time I wake up in unfamiliar surroundings, and I fear he feels the same in his few moments of consciousness in-between long bouts of sleep. Yesterday I held my dad’s hand, stroking his mottled skin with my thumb. “Do you remember what grandma used to say, Dad?” Grandma died 25 years ago. “Do you see our hands, Dad?” And I held ours up to show him. His fingers twitched and I imagine he tried to hold my fingers a little tighter. In a few hours, the greatest story-teller I’ve ever known personally will draw his last gurgly breath. But at least I’ll have memories of the few stories we share together.